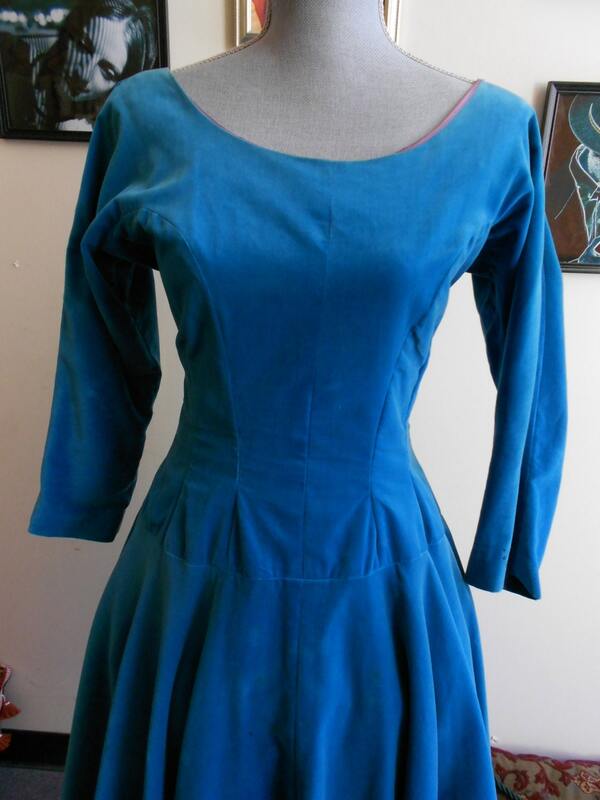 1950's, 34" bust, electric turquoise blue velveteen dress. The dress has a scooped neckline, and raglan sleeves. Bodice extends below waistline to top of the hips. 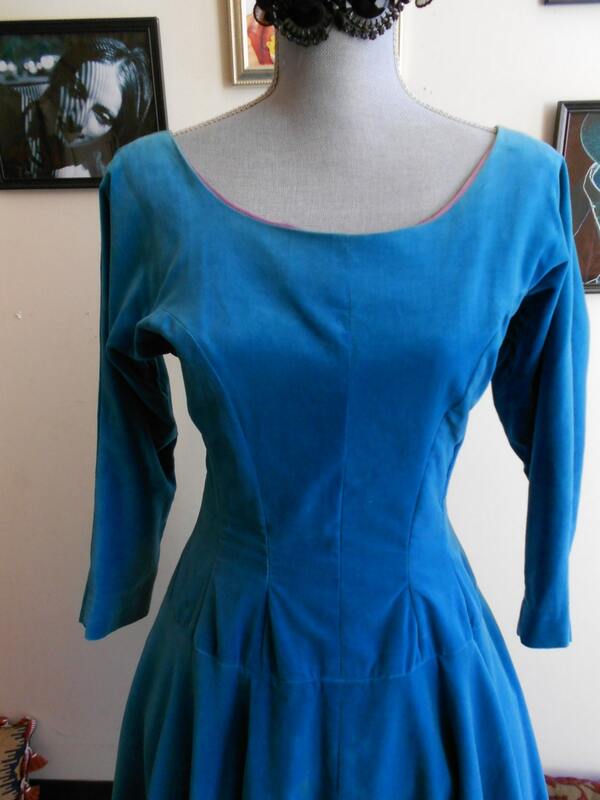 The skirt of the dress is a complete wide circle, attached to end of bodice at hip line. Back of dress has low V, with a zipper, at the end of V, fastening dress, from shoulders to lower hip. Plum colored peaks out of neckline. circumference at bottom of skirt 172"